Wookey Hole is somewhere both Dave and I visited when we were children and so we were keen to take the family there when we visited the area during October half term. 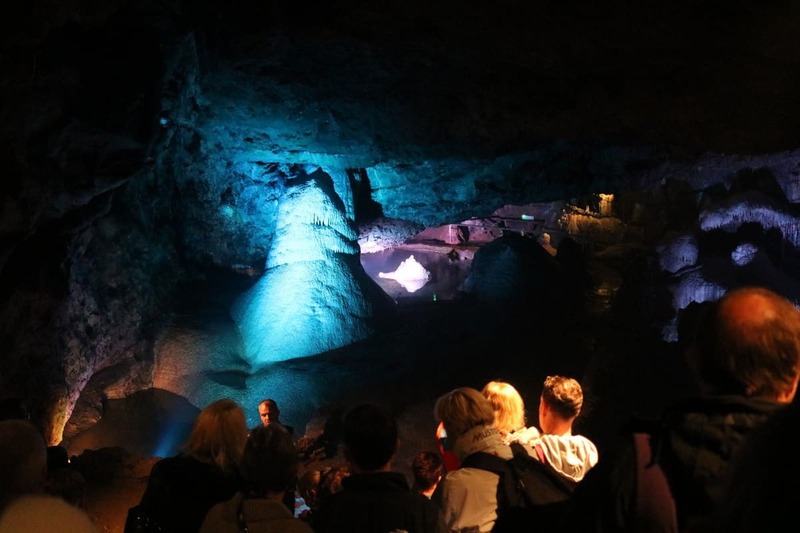 Wookey Hole is an ancient series of underground caves in Somerset that have been turned into one of the area’s best loved tourist attractions. 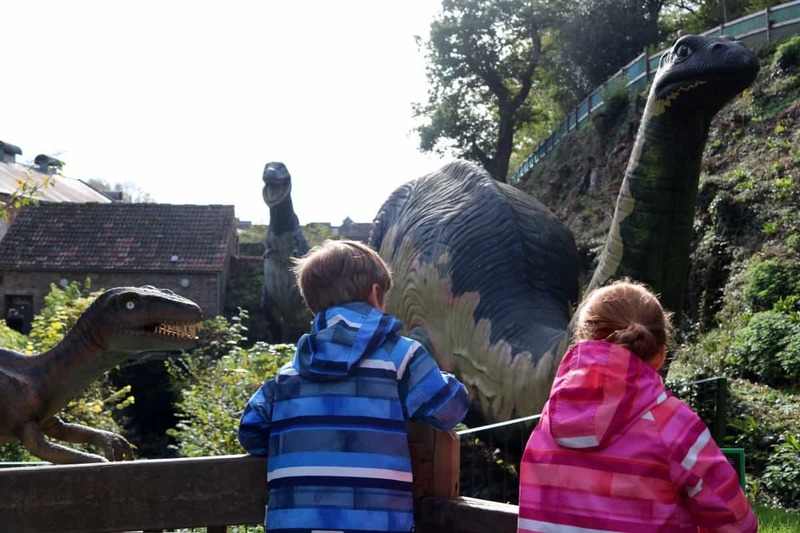 It’s been around for generations and we were excited to visit to see if it lived up to the fond memories we had of Wookey Hole. When we pulled up to the car park we were met by a parking attendant who directed us towards nearby spaces a short walk from the ticket booths and toilet facilities. It’s worth checking out prices online and buying tickets before you arrive as it works out quite a bit cheaper. As it was October half term, there was an extra spooky Halloween theme throughout the site with people dressed up as vampires, mummies and all manner of ghoulishly themed characters. 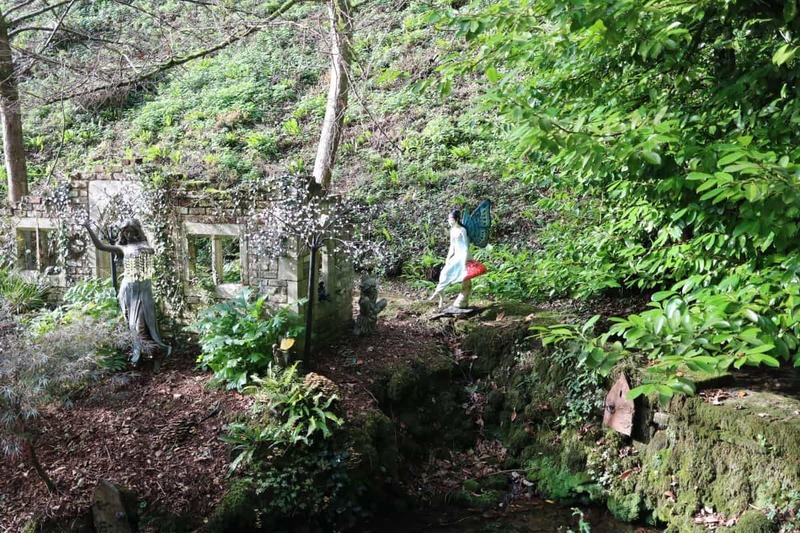 The Wookey Witch was also said to have taken up residence inside the caverns and we had the chance to meet her. At the ticket booth we booked our spaces on the guided tour of the caves – a must-do when you arrive. You can choose a time slot that suits your plan for the day and as we were eager to see the main attraction, we booked the next available tour and made our way across the road towards the old paper mill. There were plenty of signs pointing us in the right direction and we found ourselves on a gantry where we joined a small queue of people. From our vantage point, we had a great view of the paper Mill and the outside attractions – Dinosaur Valley, the Mystic fairy Garden and even a giant King Kong statue. The children were excited enough before we even entered the caves. We were soon at the entrance where we were counted in by staff and introduced to our tour guide. The group was of about 25 people so there was plenty of room once inside the caves to appreciate the tour. We learned all about the legend of the Wookey Witch and how she was turned to stone as she was scaring the villagers. This was not too scary at all for the children but held their attention and drew them into exploring the caverns. We followed the tour guide around and the significance of each cave was explained to us. 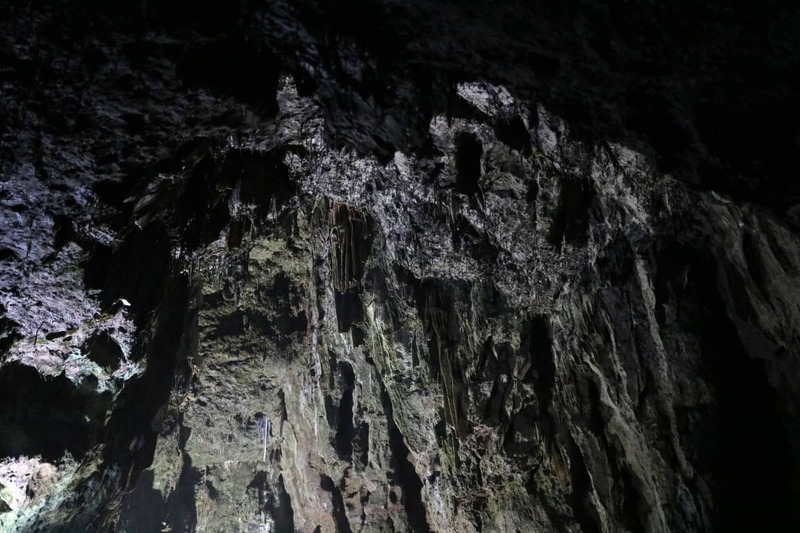 We were in awe of the sheer size of the spaces, and the age of them – millions of years old. 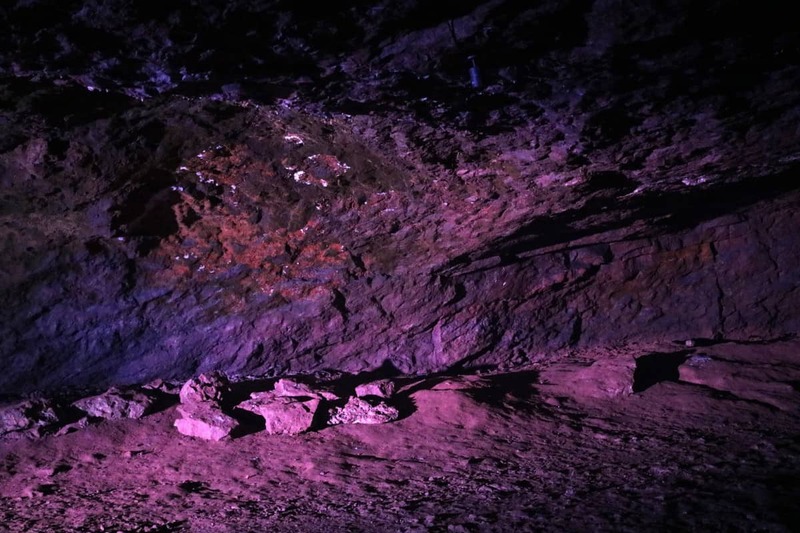 The caverns were all respectfully lit with different coloured lights that enhanced the beautiful stalactites and stalagmites on show. 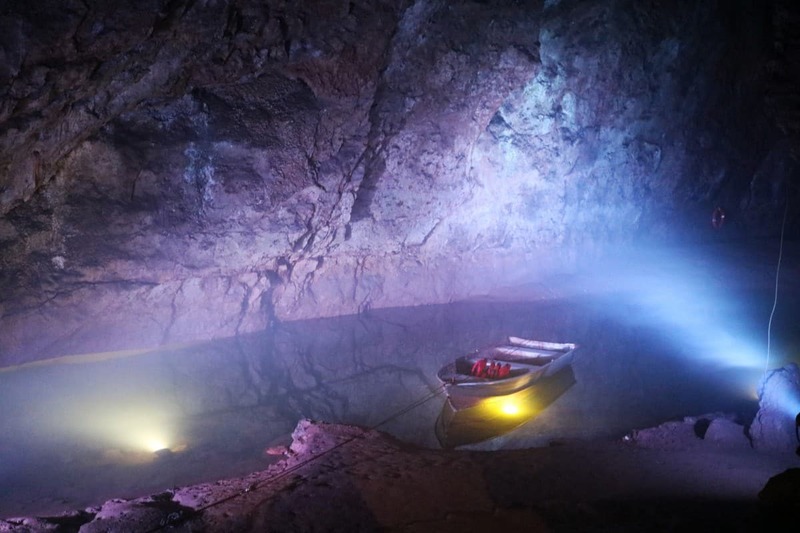 There is also an underground river with a row boat that is part of the Wild Wookey experience – adventure rock climbing and similar high adrenaline activities. 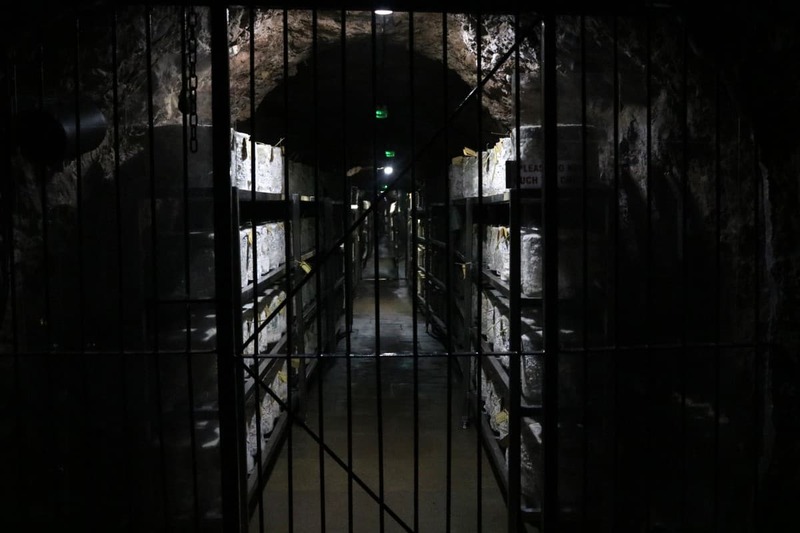 Each cavern had its own unique story and was brought to life by the knowledgeable tour guide. Areas where early explorers had used flames to light the way and left soot on the high ceilings were pointed out, with spotlights lighting up specific formations that had the appearance of familiar sights – St Paul’s Cathedral in London being one of them. There is also an area where cave aged cheese is produced, with the opportunity to buy some at the gift shop back at the Paper Mill. The tour lasted about an hour before we were directed down a long passage to meet with the Witch of Wookey. This was unfortunately one of the least organised aspects of the cavern tour and one that quite a few people had obviously come for, what with it being half term. We queued in a tunnel that was well lit, with none of the atmosphere of the previous caverns. There was litter on the floor and people didn’t seem to know what was going on. After about 25 minutes, we were closer to the front, on a wooden platform in an amazing cavern where we could see the witch’s den at the end. The encounter was somewhat spoiled by members of staff coming and going with radios blaring, declaring that the witch was due to have a lunch break of at least half an hour, no-one seeming to know where the queue should be stopped and people were still being told to join it. People in front of us were literally told to say hello to her then select a gift before she would pose for a photo with them. We were very fortunate to be the second to last to see her for the session. When we met her, the Witch of Wookey was lovely and totally in character, but not too scary! The children were given the choice of a chocolate egg or a cuddly toy as a gift. LP and Little Man fed their obsession with soft toys by choosing one each. It was quite dark but they were able to choose different ones. We then made our way back out of the caves and a few seconds behind us, the Witch came marching out for her lunch! I wouldn’t have wanted to be stuck in the queue at this point, as it was very long, all the way back to where we were directed to go meet her. 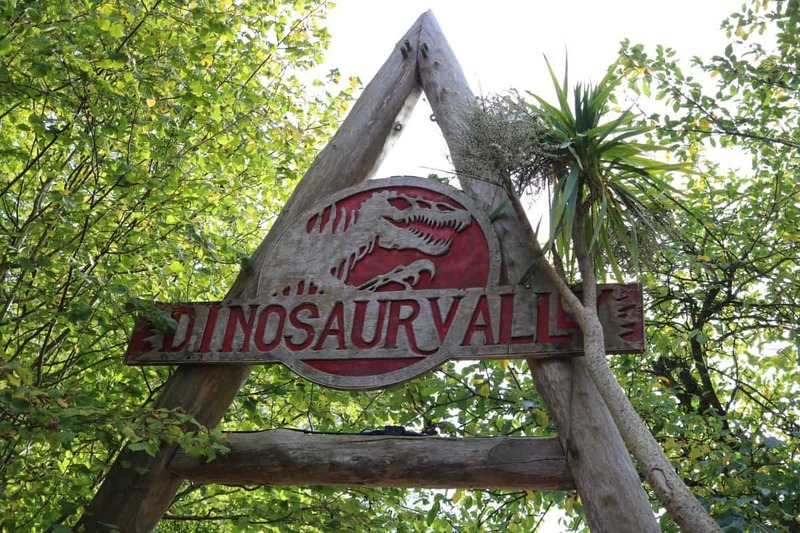 Once out of the caves and into the sunshine, we made our way through what can only be described as an eclectic mix of outside attractions and picnic areas. 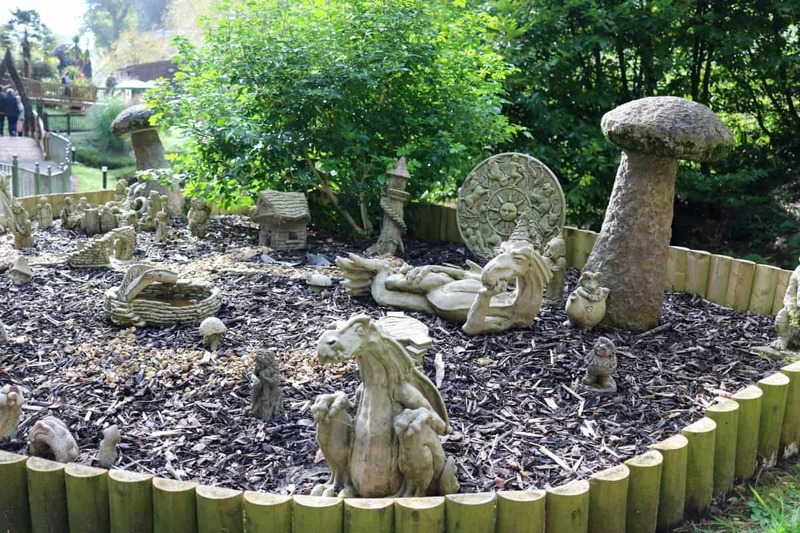 These attractions consisted mainly of models, small carvings and things to look at. 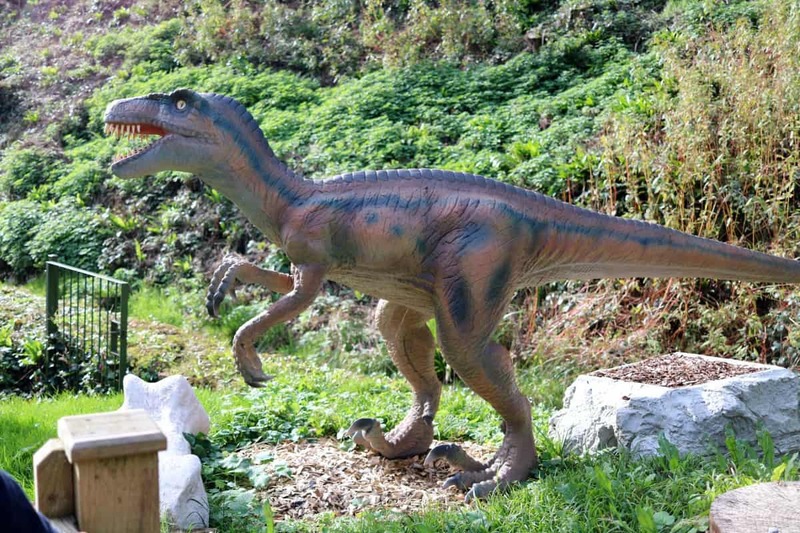 They caught the children’s eye, especially the Dinosaurs, some of which were animatronic and growling at us! After checking out showtimes for the Ice-Age 4D, we decided to head for the restaurant to get lunch as we were all hungry. The restaurant was at the start of the Paper Mill and we had trouble finding it. We had to go through the Mill, passing all of the indoor attractions along the way. It was difficult to find the way through narrow corridors with little signage, but we eventually found the restaurant. The food was nice and on a par price-wise with similar tourist attractions. After we ate, we made our way back through the Mill to the 4D Cinema, again joining a queue. We didn’t appear to be too deep into it when a member of staff came out of the building and declared that not everyone would be able to see the next show due to numbers. He didn’t count the people in the queue and still let people join it declaring that they might not get the next viewing. There was no definitive cut off despite him knowing how many seats were inside. Again we just made it in and there was a strange introduction inside the Witches Hut that had been turned upside down! It made the children laugh before we made our way into the 4D Cinema for a showing of ‘Ice-Age: Dawn of the Dinosaurs’. It was great with light and water effects along with the 3D glasses. Once the show was over, we finally got to spend some time in the Paper Mill and look at the eccentric collection of attractions that was on offer. There was a small soft play area – which was really busy, the Pirate Zap Zone – shooting soft foam balls out of cannons – and an old penny arcade. What we didn’t realise was that the machines are playable but you need to swap your regular money for old coins in order to play them. Being pretty much an electronic payment kind of person and with no cash in our pockets we couldn’t play on them but they were fun to watch. There is also a hand made paper making demonstration too at certain times of day. We caught the tail end of one such demo, but it was another 2 hours for the next one so we moved on. 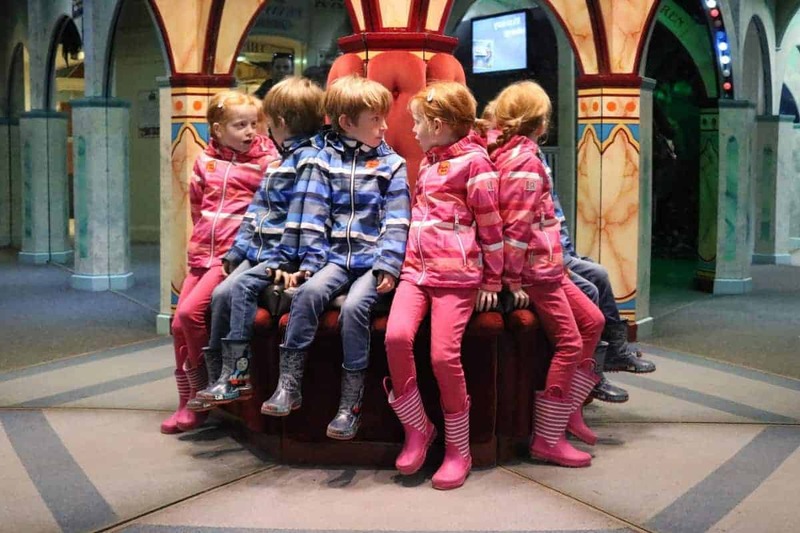 The Magical Mirror Maze was a favourite of mine when I visited as a kid and is still as I remember it with a seat by a mirror outside it, making it look like it goes on forever! Wookey Hole also boasts an indoor circus big top, but the times clashed with our plans and again, was hard to find amongst the random collection of artefacts and antiquities as well as odd show times through the day. We sadly didn’t have time to stick around for the next one. There is even a pirate themed crazy golf course outside the main paper mill which we only noticed once we were on our way back towards the car park and judging by the size of the queue it was quite popular despite being an additional cost. 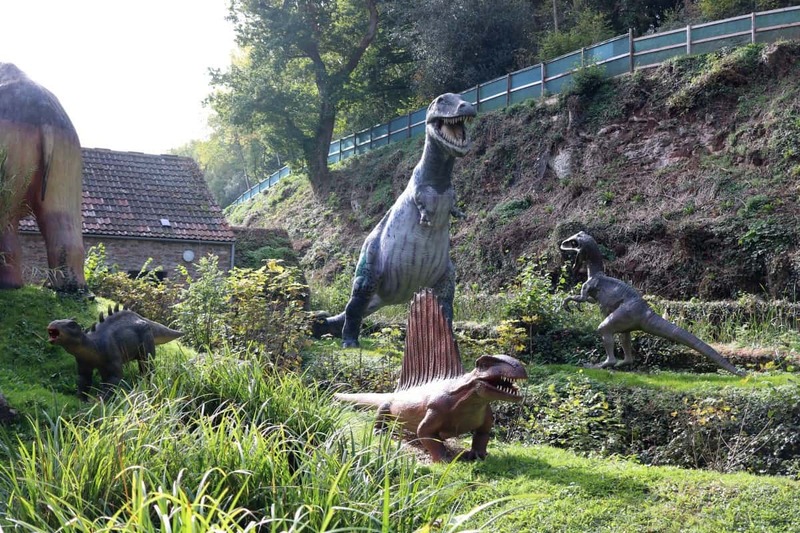 I felt like Wookey Hole is a place that doesn’t really know what it wants to be. I remember aspects of it from when I was young that are still there next to newer attractions. The layout inside the paper mill is all haphazard and doesn’t seem to make sense, it doesn’t flow naturally at all. The sign posting is poor at the best of times, with random things next to each other with no real connection to the mill or the caverns. 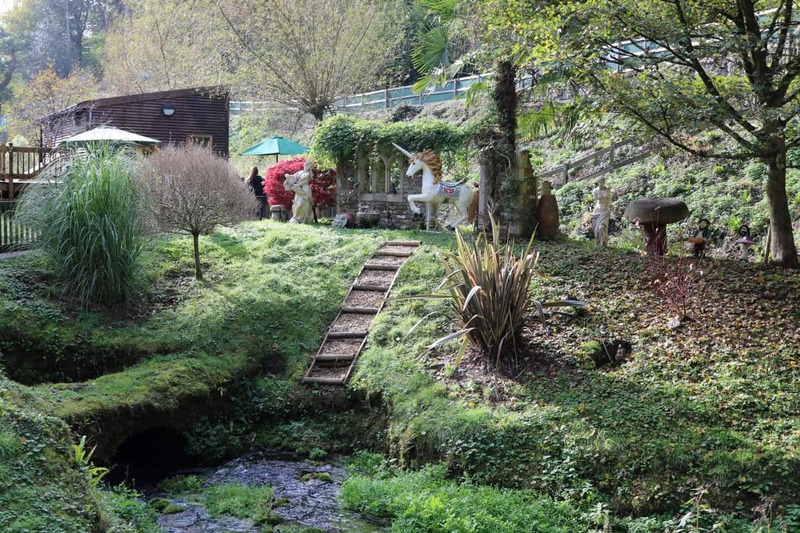 Don’t get me wrong, Wookey Hole is a great place to visit and we all really enjoyed it, but it just appeared to be the caverns and then an assortment of things that were being used to fill up an old beautiful Paper Mill just as something to be there. It needs to decide whether its going to be all olde fashioned or more modern with things that would appeal to children of today to make them want to go back in 25 years with their children as we did. 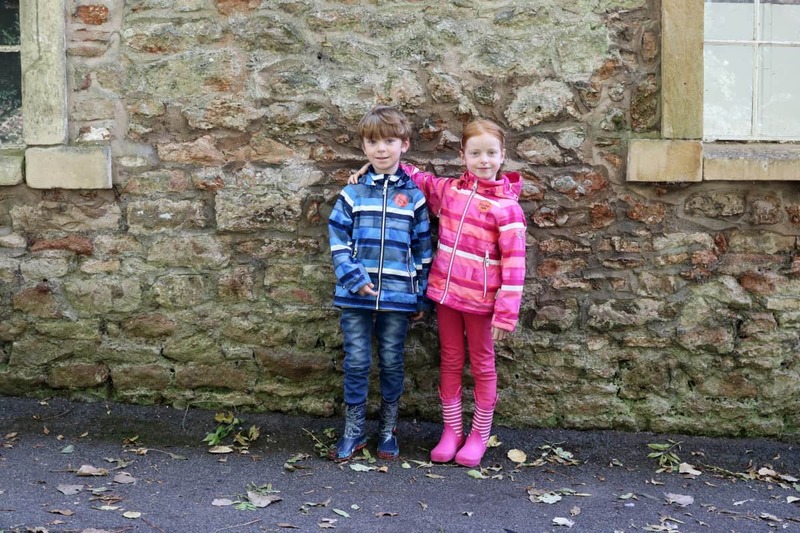 The children had a great time at Wookey Hole but I left feeling just confused by it. There were the parts I’d loved as a child and it has a real nostalgic charm. But, it’s not somewhere we would visit more than once. 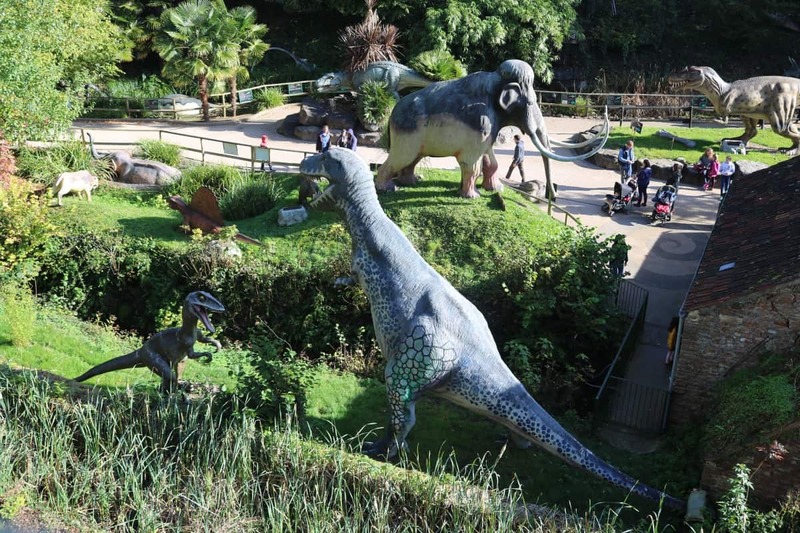 Wookey Hole is a great day out for children and I know so many families go time and time again but, really, we won’t be going back.